Better Homes and Gardens Real Estate (BHGRE) Metro Brokers is Georgia’s premier realty company with 26 offices and more than 1,800 REALTORS® in the greater Atlanta area. Recently ranked #62 (based on the number of completed transactions) in the Top 500 Nationwide Power Broker Report released by RIS Media, Metro Brokers has continued to thrive in one of the most competitive housing markets in the southeast. Unlike many of the smaller companies with limited resources, BHGRE Atlanta agents have access to a wealth of in-house services in addition to the powerful nationwide network of brokerages under the Realogy umbrella. From a dedicated broker support hotline to an industry leading on-site technical support staff, assistance is never more than a phone call away. With agents specializing in all areas of real estate including residential, commercial, land and more, finding a specialist to handle any type of purchase or sale is never a problem. The company offers everything from new home sales to title & closing services, making Metro Brokers a one stop shop for everything real estate. Better Homes and Gardens Real Estate is committed to building long-term real estate relationships and serving the housing needs of the surrounding community. For more information about Atlanta's top realty company, check out the website or visit the corporate office, which is conveniently located in Sandy Springs near the intersection of I-285 and 400 off Glenridge Dr. Buyers and sellers choose BHGRE for its innovative technology & marketing campaigns, and so do agents. Strategic partnerships with leading technology providers like Dotloop, Zillow, and Brytecore have set the bar high for the competition. Strong consumer outreach programs such as billboard advertising, Super Sunday open house promotions, and direct marketing campaigns, are popular among consumers and continue to expand the reach of an already strong real estate brand. In addition, all Metro Brokers agents are members of the National Association of REALTORS® and both local MLS boards (FMLS & GAMLS). Learn more about the company's branding partnership with Better Homes & Gardens Real Estate. Originally founded in 1979 by John Hartrampf, the company started with one office, but has since grown to become one of the nation’s largest full-service real estate brokerages. Headed by President and CEO Kevin Levent since 1996, Metro Brokers has expanded to include more than 26 offices in Atlanta and North Georgia. 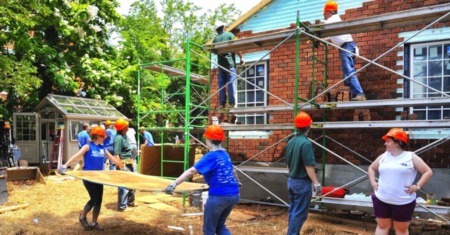 The 2009 partnership with Better Homes and Gardens Real Estate allowed the company to join a global brand with unparalleled name recognition. 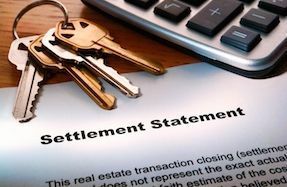 With the strategic integration of in-house financing, insurance, and closing attorneys, the company established itself as the broker offering buyers and sellers everything they need under one roof. Metro Brokers consistently recruits and develops some of the best agents in the real estate industry. Both new and experienced agents attend rigorous classroom training programs in the top-rated real estate academy upon joining the brokerage. All agents are given access to advanced business planning, skill building and management systems training to further ensure their success. Whether you're a potential seller looking for a home value estimate, or a buyer looking for guidance during your purchase, your Metro Brokers agent knows exactly how to help. There are even agents who speak multiple languages, perfect for those international buyers who fear the language barrier could cause issues. Many agents specialize in hyper-local markets or specific property types to provide in-depth knowledge of what they’re selling. Most agents also join advanced marketing teams such as the Internet Response Team (IRT) or the Relocation Team (RELO) to increase their exposure and prospecting efforts. With tools such as the dedicated call center, custom designed responsive agent websites and in-house marketing, it's clear to see why so many of our agents consistently rank among the top in sales and client satisfaction. 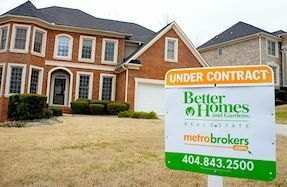 MetroBrokers.com is one of the most popular real estate websites in Metro Atlanta due to it's powerful home search tools, hundreds of buyer & seller guides, and access to thousands of top Georgia agents. The website is the only place to search every Metro Atlanta property for sale on one platform. 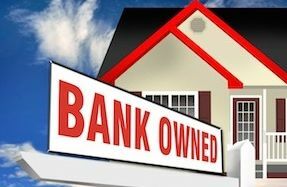 Whether you're looking for foreclosures in Atlanta or a cabin in north Georgia, MetroBrokers.com has you covered. The agent Metronet is another great tool that sets Better Homes and Gardens apart from the competition. Available only to BHGRE agents and staff, this portal offers the tools and resources that allow our agents to stay ahead of the competition. Just another reason Better Homes and Gardens is #1 in Georgia. The residential real estate division is one of the largest in Georgia and has been ranked as the top producing Better Homes and Gardens Real Estate franchise in the nation. With agents specializing in everything from investment properties to luxury mansions, there is a seasoned professional suitable for nearly any client. Educated and backed by a non-competing broker support staff with decades of experience, agents have all the tools and resources needed to handle any situation that presents itself. Rest assured you’re in good hands when working with myself or any other agent within the company. 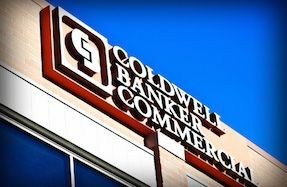 The commercial real estate division is branded under the Coldwell Banker Commercial (CBC) franchise network and serves the 20 county Metro Atlanta area. CBC, a Realogy™ brand, specializes in a wide variety of commercial real estate sectors including: business brokerage, industrial, land, lodging, multi-family, office and retail. The company was recently ranked among the top 25 commercial brokerages in Georgia by the Atlanta Business Chronicle. Log on to www.CBCMetroBrokers.com to get in contact with one of our 75 seasoned professionals or to learn more about the full line of services available. The Distinctive Collection was created to be noticed by affluent members of the community and represents some of the most elegant homes in the country. When you’re buying or selling an exceptional home, you need an advisor that fully understands the luxury market and has the experience needed to help you achieve your goals. 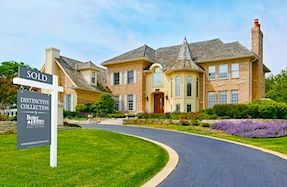 Luxury home consultants utilize a premium marketing program which includes: Distinctive Collection yard signs & print marketing, online exposure on luxury websites, professional photography, advertising in local & national luxury publications and more. 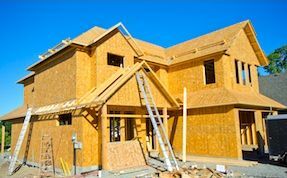 Started in 1998, the new homes division has successfully represented over 250 developments in Metro Atlanta and continues to expand. We partner with builders and developers that need a company with the resources to make a project successful. From pre-sale to close out, all aspects of the sales and marketing strategy have been specifically developed to close deals. We offer a top-notch sales and promotional marketing program which includes: a community vision and plan, market research, community branding, advertising, design of on-site sales center, professional sales team and an advanced internet marketing package. The Better Homes and Gardens relocation division partners with many of the top companies in the world to seamlessly coordinate all aspects of the relocation experience. Whether you’re moving to or from Metro Atlanta, our relocation division will help you every step of the way. With extensive knowledge of the local market, schools & neighborhoods, transportation and more, your relocation specialist will make sure the transition is as painless as possible. The RELO division has helped thousands of transferring employees and their families over the years, more than any other BHGRE relocation department in the country. The REO division brings the trusted BHGRE brand name to foreclosure property management. From BPO’s to closing, the dedicated full-time REO staff is able to provide a single point of contact within one centralized department. With extensive experience servicing REO in over 30 Georgia counties, we’re your all-in-one solution to your REO needs. Professional services include: broker price opinions (BPO), eviction, vendor acquisition, paperless contract technology, dedicated online foreclosure search platform, phone coverage seven days a week, property management and contract to closing supervision. 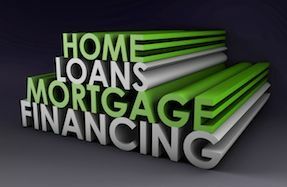 Metro Brokers Financial (MBF) offers a wide range of loan programs to meet each borrower’s unique financing needs. MBF’s mortgage specialists have years of experience helping hundreds of buyers achieve their dream of home ownership. From conventional to FHA, VA to USDA, your loan officer will help you select the financing program and down payment option that works best for you. As mortgage brokers, their loan officers have the ability to shop multiple lenders to get the best rate and terms for each individual borrower. Learn more and start your mortgage application online at www.MetroBrokersFinancial.com. The insurance division offers much more than just top-rated homeowner’s insurance policies; you can also get auto and life insurance coverage from the nation’s best A-rated carriers. Work with a seasoned insurance specialist who can shop Atlanta rates and coverages to find you the exact policy that fits your needs at the lowest cost. Choose to bundle your policies and receive a discounted multi-policy rate that can greatly increase your savings. 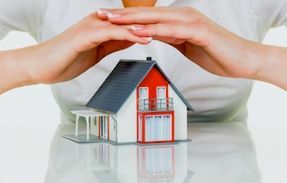 Make sure your most important assets are protected, submit your request for an insurance quote today by visiting: http://www2.metrobrokers.com/insform_home.asp. Metro Title Trust is the BHGRE in-house closing attorney. Metro Title specializes in both residential and commercial closings throughout Metro Atlanta and North Georgia. Metro Title Trust boasts a 99% on-time closing rate and has the ability to conduct a closing at any one of the 26 Atlanta offices. This convenience, along with an outstanding reputation in the legal community, makes choosing Metro Title Trust a no-brainer for your next purchase or sale. To schedule a closing or for more information, call (678) 443-6100. The company’s academy of real estate is one of the top rated real estate schools for new agents in the state of Georgia. Whether you’re looking for a pre-license course, post-license training, or continuing education, everything is available through the academy. Once you’ve joined the company, you’ll have access to dozens of free courses each month covering everything from the basics to advanced selling techniques and business planning. Launching a new career in real estate can be frustrating without a great broker support network to help you get started. You need the best tools, training and guidance to be successful in this challenging profession. The real estate education courses offered by the company's non-competing brokers quickly build your knowledge base and get you on the fast track to success. New agents also receive: branded PowerPoint listing presentations, business cards & marketing materials, a custom business plan, MBA & PHD post-license training courses, one on one broker coaching sessions and more. Experienced Agents - Looking For A Better Broker? Whether you need to reactivate your license or simply find a better broker, look no further. Gain a competitive edge over your competition with advanced tools & technology, multiple offices throughout the Metro Atlanta area, and the trusted branding of Better Homes and Gardens Real Estate. With competitive commission splits, in-network referral opportunities and recruitment residuals, the ability to maximize your earning potential is limitless. Better Homes and Gardens Real Estate is the largest realty company in Georgia and has the resources you need to be a top producing agent. For more than three decades the company has been a leader in implementing new technology to streamline the home buying and selling process. Find out how you can take your real estate career to the next level, complete the form below to learn more.